Are you tired of the battle against pet hair? You want a clean home, but you are sick of the neverending vacuuming it involves? A robot vacuum can significantly cut down your need to vacuum and help you keep a cleaner home. It will give you more free time and reduce the stress involved with household chores (and who wouldn't love that!). 4 Buying Guide - How to choose the best automatic vacuum for pet hair? Botvac D6 from the newly released Neato lineup is what every pet owner should have. It has excellent features like advanced mapping, long runtime, large dirt cup, wi-fi connection, and an app that enables you to draw virtual walls to guide your vacuum. The vacuum is specially designed for pet homes with all the best features combined in one convenient package. Check the latest price of Neato Robotics D6. But as you know, no vacuum is perfect. Continue reading to find out all you need to know before buying one. able to collect quite a bit of dust and pet hair in one go! Although it's a robot, it does a meticulous job if you make sure you clear the clutter before sending it to do its job. You can check which areas were left unvacuumed on the app, and move the furniture a bit for better results. The high-performance brush roll with blades and bristles works well on both hard floors and carpets. The brush bar is up to 70% bigger than the one on round robots, and it very effectively picks up all kinds of dirt on both carpets and hard floors. The cleaning path is 12 inches, which allows the robot to do fewer passes. The D-shape is practical, because it allows the robot to clean those corners where pet hair collects, and it also has a side sweeper for getting all that dust close to the edges. Of course, on thicker carpets, this vacuum will not perform as a sturdy professional upright vacuum would – but that is standard with robotic vacuums. You can control the vacuum using your phone and the Neato application, or you can use an Apple watch, Amazon Echo or Google Home. The robot has three cleaning settings: whole house, spot cleaning or scheduled cleaning. It also has two modes: a quiet ECO-mode and a Turbo mode with maximum pick-up. You can also set the Extra Care mode if you need the vacuum to navigate around delicate objects carefully. The My Floor Plan feature and No-Go Lines is something pet owners will love. First, the D6 will explore and map your home with up to three floors plans for different stories. After it has created the floor plan, you can use the app to draw lines which the robot won’t cross. This is an excellent feature if you want to give your pets privacy. Just draw lines around their bed and water bowl, or limit the robot from entering certain areas. You will have a stress-free pet and a clean home when you come back from work! The app is very functional and pretty simple to set up, although we did have to try a few times because out wifi wasn’t working as it should. Once you get it going, it should run smoothly, although some users have found the D6 sometimes to drop the connection. The battery lasts 120 minutes, which is excellent for a high power robotic vacuum and enough to clean even larger homes. It takes the robot 150 minutes to reach full charge after it runs out of battery, but we enjoy the fact that it charges itself and resumes cleaning to finish the job. The vacuum also has what they call the Quick Boost feature. With this feature, the D6 is able to calculate how much power it needs to finish the job and it only charges what it needs before resuming. The D6 has laser guided navigation meaning that instead of cleaning in a random pattern like many other cheaper robots, the Neato botvac cleans in straight lines while using its sensors to navigate around obstacles. This makes cleaning more efficient and quicker. It has cliff detection, and after creating the floor plan, it knows its way around the house and navigates its way back to the charging dock. On the first few times, you might notice it skipping a spot at first, but let the robot finish its job, and you'll see it does come back and eventually cleans every inch before it finds it's way back to the dock to be charged. The filter on the D6 has more material than filters on other D Connected series vacuums. Because it is able to catch more dust and allergens, it is an excellent choice for pet owners and people with allergies. It captures up to 99% of tiny dust mites and allergens as small as 10 microns. The dirt cup is 0.7 liters, and it takes in quite a bit of pet hair before it is full. Owners of several pets that shed a lot should be aware, that the D6 does not always recognize if the dirt cup fills up quickly, which might affect the performance during the rest of the cleaning session. But you will soon learn how often your home needs to be vacuumed by the robot for the container not to get clogged in one go. A robotic vacuum is one of those things you don’t necessarily need, but you certainly never regret getting. And that is more than true with this new Neato D6 botvac. It has those advanced features you want to see on a robotic vacuum for pet hair, but the price is reasonable for an upper midrange vacuum with these qualities. The long runtime, powerful suction, large dirt cup, and virtual no-go lines easily drawn on the application make this vacuum an excellent choice for pet homes and make it our number one pick in this category. Ready to lift up your legs while the D6 does all the hard work? Just check out the fantastic reviews here if you don’t believe us or continue to read our extensive review to see the details and close-up pictures. Roomba e5 from the new iRobot lineup is also a great robot vacuum for pet owners. It has the famous Roomba features with a few little bonuses like 5 times stronger suction, larger dirt cup, advanced filtration, and a rubberized brush roll to grab that pet hair – and to keep that home with pets tip-top shape. * Roomba e6 is basically the same vacuum, but the package includes not one but 2 virtual wall barriers and a spare HEPA filter. It’s a fantastic deal available at select retailers only. Click here to see the latest price. So what makes the e5 one of the top vacuums for pet hair? The Roomba e5 has a 3-Stage cleaning system; it uses the Advanced Dual Rubberized Brush, Edge-Sweeping Brush, and a strong suction to lift up all dust, dirt and pet hair. The cleaning head adjusts automatically to keep the brush rolls in tight contact with the surface, and the Edge-Sweeping brush makes sure all corners are cleaned as well. The suction is 5 times more powerful than the one on Roomba 600 series robots, which makes it very powerful and guarantees excellent cleaning results – even on carpets. The vacuum also uses sensors to detect areas that have more dirt, and it automatically spends more time on cleaning those high-traffic areas like the hallway or kitchen. If you don’t have your phone at hand, you can always send the Roomba cleaning by using the buttons situated on top of it. With these buttons, you can start and stop cleaning, tell the Roomba to go back to its Home Base or ask it to spot clean a specific area. However, using your smartphone and the iRobot HOME app, you can not only remotely control your vacuum but also schedule up to 7 vacuuming session per week and view the cleaning history. The wifi connectivity is excellent, and the robot rarely drops the connection. If you have Google Assistant or Amazon Alexa – and the speakers for the job – you can also use voice commands to start and stop cleaning. You also have a way of setting areas out of bounds for the robot. If you have pets, this is especially important because the roaming robot can cause stress for animals if they aren’t allowed some privacy. With the Dual Mode Virtual Wall Barrier, you can set no-go zones around your pets bed, water bowl or litter box. Or you can even restrict the vacuum from cleaning certain rooms to give your pets the peace they need. The Dual Mode Virtual Wall Barrier is a small device used to create invisible linear and radial lines the robot won’t cross. This enables you to block doorways or form a halo around your pets favorite resting spot. We would like to see a possibility to add virtual barriers through the app, but according to many of the pet owners using this product the current system works very well and keeps your robot away from your pets. The e5 has a 1,800 mAh lithium-ion battery that gives the vacuum a runtime of 90 minutes, which is pretty good for a vacuum in this price range. We would like to see the e5 have the Charge & Resume feature, but for most homes, 90 minutes is more than enough for the Roomba to finish vacuuming. It does find its way back to the Home Base, but it won’t automatically resume cleaning. If you have a large house, you might want to consider the Roomba i7 which is a bit more expensive, but it has many incredible features worth the investment. If the battery is completely empty, juicing up takes 2-3 hours, which is relatively standard. The Roomba e5 uses the iAdapt 2.0 navigation system which is not the most advanced system from Roomba but not the most basic either. The robot uses memory mapping to remember doorways, walls, and furniture not to bump into them, but it can not map its surroundings to create a floor plan. The vacuum has a spot cleaning function to use when you have a certain spot you need to clean, but because the robot lacks advanced mapping, it cannot be told to clean a particular room. The e5 uses the Advanced AeroForce filter which is a high-efficiency HEPA filter. Pet owners are probably delighted to hear the filter can catch 99% of cat and dog allergens and keeps them from being blown right back into the air. Because the advanced filter is also half the size (without losing any performance), the dirt cup capacity is an impressive 0.5 liters. This is good news for people with pets that shed a lot. Often robotic vacuums have small dirt cups which means they can easily get clogged by pet hair. Luckily this vacuum can hold quite a lot of dust, hair, and dirt before filling up. Roomba e5 (or Roomba e6, which is basically the same vacuum but with a great package deal at select retailers) has a great price-quality ratio, and it is THE midrange robotic vacuum for pet hair right now. If you’re on a restricted budget and you're looking for a reasonably priced robotic vacuum for pets, the e5 should be your choice. Because it is a midrange option, you can't expect all the bells and whistles, but it is a superb robotic vacuum nonetheless. 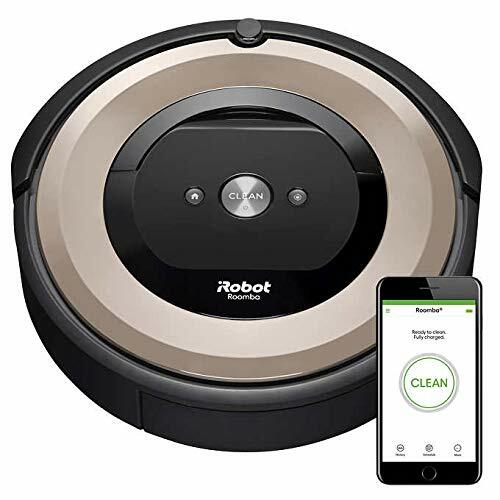 Although other robovacs like the Neato D6 and Roomba i7 (or 980) have those advanced features like a longer runtime, advanced navigation, and Recharge&Resume function, they also come with a bigger price tag. If you don’t have restrictions moneywise, get one of the top vacuums! But, if you’re looking for something around 500 USD, then the e5 and e6 are a great option. The rubberized brush roll picks up pet hair, and the strong suction makes sure all the dirt and debris on your floors ends up in the dirt cup. Which, by the way, is washable and can fit 0.5 liters of pet hair. An excellent feature if you have pets that shed heaps of fur. The filtration is also very efficient, which will help you deal with dander and animal allergens. Also, the navigation works well, and the package includes one Dual-Mode Virtual Wall Barrier that can keep the robot away from your pets bed or food bowl. Actually, if you opt for the e6 package deal, you get 2 of the virtual wall devices! This Roomba vacuum has all the features you need plus a few that make it especially suitable for pet homes. Roomba i7 (and i7+) are extremely advanced robotic vacuums with leading-edge features and design. If you’re looking for a highly advanced product with all the bells and whistles, then this is the one. It has everything a pet owner would want from their robovac - and more. Click here to see the latest prices of the i7. * The difference between the two products is that the i7+ comes with the new self-cleaning charging base included, while the i7 is only compatible and you can buy the Advanced Home Base separately if you wish to do so. The 3-stage cleaning system incorporates an edge sweeper, rubberized dual brush roll and powerful suction to offer fantastic cleaning results on all surfaces. 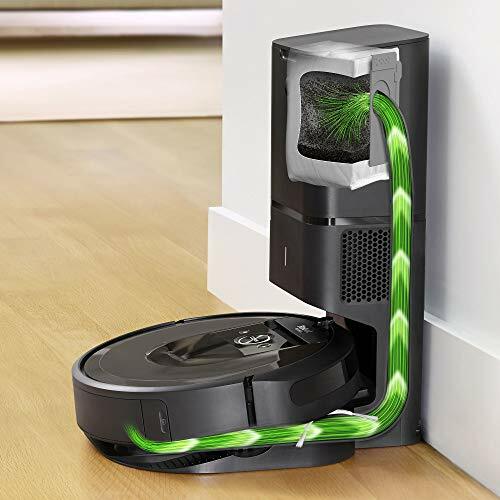 To enhance the cleaning performance, Roomba has equipped this vacuum with an Advanced Dual Rubberized Brush Roll. This double brush roll is rubberized to make it actively attract pet hair. It is also tangle-free because the rolls revolve in opposite directions not letting long hair get tangled. Many robot vacuums with a weak suction and basic brush rolls can only clean low-pile carpets or hard floor surfaces, but the i7 does an awesome job on challenging carpets and rugs as well. You can control the vacuum in several ways. The most basic way to tell your Roomba to start cleaning is to press the physical buttons on top of the device. However, these buttons only have the essential commands: start, stop and return to base. If you have Google Assistant or Amazon Alexa, you can also use voice commands for the same basic functions. If you want to take controlling your vacuum to the next level, you can use the iRobot HOME app on your smartphone. Your Roomba will use the Wi-Fi connection to connect with you no matter where you are. With the app, you can start and stop cleaning cycles from anywhere. You can also schedule cleaning sessions and view the cleaning history. 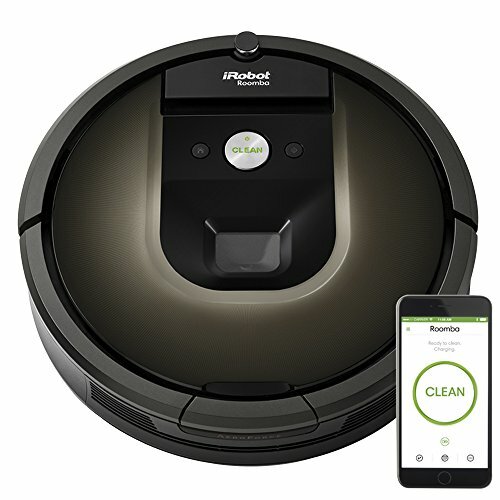 What makes this vacuum different from other Roombas (and many other robotic vacuums as well) is that the app allows you to customize your cleaning preferences. Because the robot maps your home and remembers the floor plan, you can also set it to clean only certain areas or rooms of your home. With this feature, you can schedule the robot to perform a more thorough daily cleanup for high-traffic areas like the kitchen, hallway and living area. By doing this daily, you can easily keep these critical areas free of pet hair, dirt and other debris. The Roomba vacuums also come with another way of restricting certain areas from the robot. The package includes a device called the Dual Mode Virtual Wall Barrier, which will create an invisible line or halo which the robot will stay away from. This feature works great for protecting areas like your pet's water and food or pet bed. 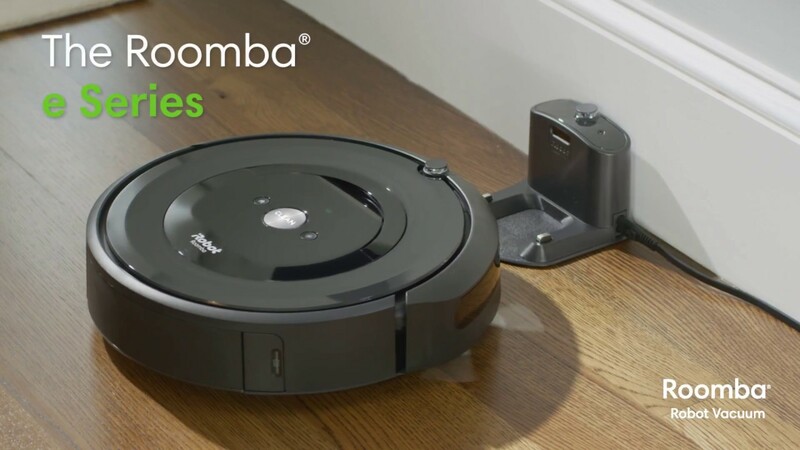 With the Virtual Wall Barrier and the ability to use the app to point out certain rooms and areas you want to be cleaned, the Roomba i7 offers a lot of flexibility and allows customizing according to your needs. These are features that many pet owners consider to be useful because pets might be uncomfortable around the buzzing robot vacuum and they need their peace and quiet. The runtime of the Roomba i7 is 75 minutes, but it has the Recharge & Resume feature which enables it to automatically find its way back to Home Base when it runs out of battery and to continue cleaning once it has juiced up. Because it maps your home and tracks its progress, it knows precisely where it needs to continue with the cleaning cycle. This feature makes the i7 an excellent choice for large houses because the robot doesn’t need to finish in one go and it can continue cleaning automatically without you having to worry about whether it finishes the job or not. The Roomba i7 uses the iAdapt 3.0 navigation which is the most advanced navigation system from Roomba yet. 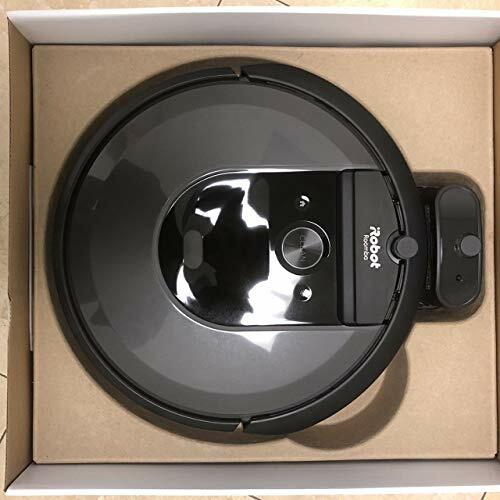 It has the basic Roomba navigation features like Cliff Detect sensors and Advanced Dirt Detection, but it also has the new Imprint Smart Mapping function. The Imprint Smart Mapping feature enables the robot to map its surroundings and to create a floor plan of your home. You can also name the rooms and use the app to schedule a cleaning of only specified rooms that are in need of a cleanup. The Roomba i7 uses an Advanced AeroForce Filter which is up to HEPA standards and will filter out 99% of dust, dust mites, and allergens as small as 10 microns. This type of filter is very beneficial in a pet home because it will filter out all that pet dander and those allergens that trigger your allergies and sensitivities. The newly re-designed filter will also allow for a sizeable 0.5-liter dirt cup which can easily hold all the pet hair the vacuum picks up. Because of the large dirt cup, the i7 is suitable for large homes and households with several pets. Even shedding season won’t clog this vacuum. The i7 and i7+ have a whole new feature never seen before on robotic vacuums – but has been dreamt of by many users. The innovation is the self-emptying Advanced Base which allows the robot to empty its dirt bin for up to 30 times before you have to change the disposable bag in the charging base. With the incredibly advanced mapping, self-emptying function and the option to schedule and customize cleaning cycles, you can have the Roomba clean independently for up to a month at a time without having to give it one thought. Having the vacuum work independently for long periods at a time really gives you the ultimate hands-off cleaning experience. The difference between i7 and i7+ is that the i7+ comes with the Advanced Base included in the package while i7 is only compatible with this feature and you can buy the self-emptying base separately later on. 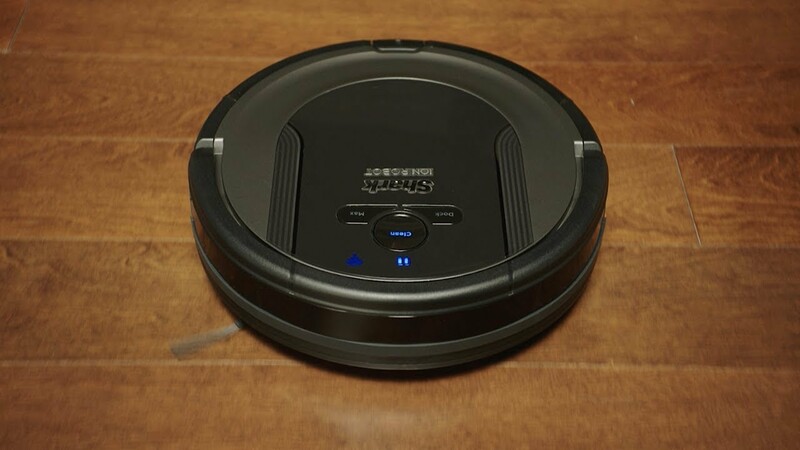 The i7 and i7+ vacuums from Roomba are highly advanced and equipped with cutting edge design and engineering. They offer not only fantastic cleaning results but also an easy hands-free cleaning experience with highly customizable cleaning cycles. All these fantastic features do come at a high price but considering what you are paying for it is pretty reasonable. If you want all these attractive added-value features, you will naturally have to invest some cash. With all these superior details including a highly capable 3-stage cleaning system, excellent filtration, large dirt cup and cleaning preferences you can adjust to meet your needs, the i7 has everything to make it a perfect robotic vacuum for pet homes. The Eufy BoostIQ RoboVac 30C is a highly popular robotic vacuum with excellent ratings and user reviews. It has been specially designed for homes with pets and kids, and it was voted ”Best Smart Robot Vacuums in 2018” by Reviewed.com. It has many useful features like BoostIQ technology, 9 anti-collision infrared-sensors, two side brushes, and a 1500Pa suction. But most importantly it has a capable brush roll, high-performance filters and a large dirt cup which are essential details for a pet hair vacuum. Check the latest price here. The Eufy slogan ”Relax. You’ve got Robovac.” tells you everything about this vacuum. It has many great features to make it a highly useful and functional robotic vacuum for homes with pets. Continue reading to find out everything you need to know before deciding on this vacuum. It has not only one but two edge-sweeping brushes that make sure all the dust gets picked up all the way to the edges and corners. The 30C also uses what Eufy calls BoostIQ technology to increase suction when it runs into areas that need a more careful cleanup. This feature ensures that high-traffic areas like the kitchen and hallway get thoroughly cleaned. Although the vacuum has excellent performance and a powerful motor, it is very quiet. The brushless motor allows the robot to vacuum causing only 55dB. A quiet robot vacuum is an excellent choice for homes with pets since pets sometimes find loud machines stressful. Another fantastic detail is the fact that the Eufy robotic vacuums have a slimline design and the height of the product is only 2.85 inches. This enables the robot to clean under low-built furniture and appliances which are areas people often wish they could skip when vacuuming. With the Eufy taking care of the hard work and cleaning those hard-to-reach areas, you can just sit back and relax. This vacuum has Wi-Fi connectivity, and you can connect it with your smartphone by using the EufyHome application. The app is convenient and straightforward, and you can use it to start and schedule cleaning cycles and to control the vacuum manually. The Wi-Fi connection also enables you to connect your Eufy Robovac with Amazon Alexa and Google Assistant for using voice control. 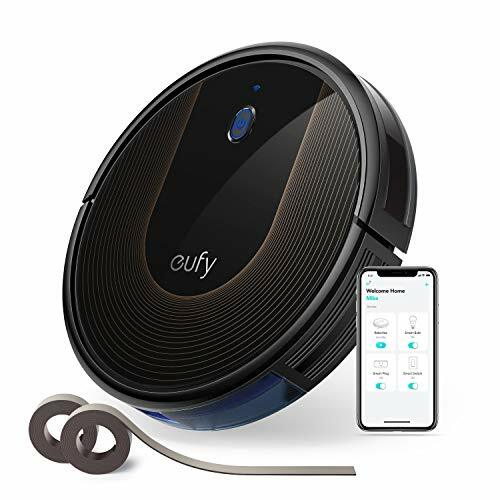 Eufy has also included a remote control in the package which is an excellent addition if you don’t have a Wi-Fi connection, or you prefer using the vacuum without one. The Eufy 30C has a runtime of up to 100 minutes depending on the surface. Since it uses BoostIQ technology to increase the suction when needed, the runtime depends on how dirty your floors are. That said, the lengthy runtime is more than enough for a complete cleanup, and the vacuum will automatically return to its dock for juicing up when the battery runs low. For navigating its surroundings, this Eufy Robovac uses 9 anti-collision infrared sensors and drop-sensing technology. The navigation system is relatively basic, but the robot does find its way around a home with ease. The package includes a 13.2-foot Boundary Strip which you can also use to guide the vacuum. The robot has Dual-Hall Sensors to detect these Boundary Strips, and it won’t cross the strip when it comes by one. The Boundary Strip is a good way for you to create no-go zones that allow your pet to be undisturbed. At first, pets may find the vacuum slightly intimidating, and it can be a good idea to create a safe area they can retreat to if they find the robot to cause them stress. The strips also enable blocking your pet’s food and water bowls from the robot so that he or she can eat and drink in peace. The Robovac 30C has a large dirt cup of 0.6 liters and a High-Performance Filter. The large dirt cup is a fantastic detail for a pet hair vacuum because wads of pet hair can quickly fill a smaller container and block the suction. 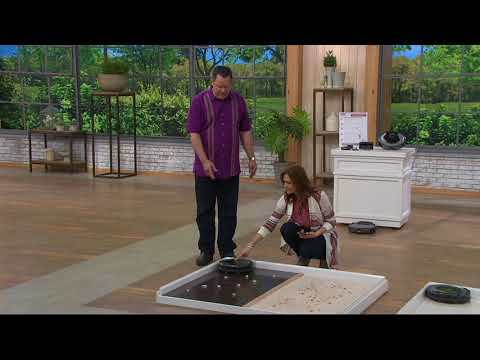 A large dirt cup also needs emptying less frequently which is always good news for anyone looking for an easy-to-use vacuum. Having high-performing filters is, of course, also a helpful feature pet owners can appreciate. Since furry pets like cats and dogs may reduce the air quality in your home by increasing the load of dust and allergens in the indoor air, it is essential to have a vacuum that can filter out those small particles to blow out only clean air. The Eufy BoostIQ RoboVac 30C is an excellent choice for pet owners looking for a robotic vacuum to tackle that pet hair and dust collecting on the floors. It is a midrange vacuum with a reasonable price and all the essential features you would require in a pet hair vacuum. This very popular robotic vacuum gets fantastic users reviews because the price-quality ratio is excellent and with your money, you get many wonderful details you will find highly valuable. The Eufy 30C is a great way to reduce that stress related to home chores in your already busy life. With this robot helping you with vacuuming you can concentrate on other things than cleaning. As Eufy puts it: Relax. You’ve got Robovac. A very reasonably priced Shark robotic vacuum with all the essential features for a pet home and nothing extra. Self-cleaning brush-roll, HEPA filter, and an extra large dirt cup benefit pet owners. Excellent choice for someone looking for a robovac with the basics and a price to reflect that. Click here to see the latest price. Shark has tripled the suction power on this robovac compared to their previous R75 vacuum. The R85 also has a self-cleaning brush roll which again will be very convenient for pet owners because pet hair won’t get tangled on the brush and need removing. The bristles on the brush roll are stiff to enable the vacuum to dig deep into carpets, and it also has not one but two side sweepers to reach all that pet hair accumulating in the corners. The R85 is not one of the highly advanced robot vacuums, but for the price point, it does offer great cleaning results on all surfaces. It will keep hard floors and low-pile carpets clean of pet hair, dust, dander, and other dirt. The R85 can be controlled in a few different ways. It has physical buttons on top, or you can use the remote that is provided with the product. The remote is useful if you don’t have Wi-Fi or a smartphone, or if the connection happens to be down. If you have the Google Assistant or Amazon Alexa, you can even start cleaning cycles with voice commands. The R85 also has a Wi-Fi connection that allows it to connect with an app on your smartphone. With this feature, you can start cleaning cycles from where ever and whenever you want. The Shark ION Robot app is easy to use, and you can use it to schedule cleaning cycles and to view the cleaning history as well. Another way of controlling the robot is the 8-foot boundary strip that is included with the vacuum. With this boundary strip, you can create no-go zones and prevent the vacuum from knocking over your pet’s water or disturbing them while they sleep in their pet bed. Having the ability to create no-go zones is important in households with pets because animals often find the freely roaming robot stressful and they need a private place they can retreat to. The runtime of the Shark R85 is 60 minutes, which is adequate for small and mid-sized homes. You get a full hour of fade-free cleaning time with the 14.4-volt lithium-ion battery that takes 3 hours to reach full charge. When it needs to juice up, the robot automatically returns to its base, but it won’t continue cleaning by itself. This is a small shortcoming, but very understandable at this price point. The Shark R85 uses Smart Sensor Technology to find its way around your home. It has several sensors that it uses to it prevent from bumping into obstacles, and to guide its way around the area being cleaned. The Multi-Axis Bumper collects information about the surroundings, and it also has cliff detectors to prevent it from tumbling down a flight of stairs. 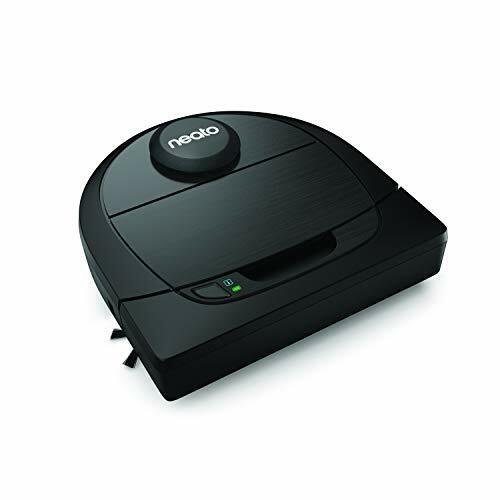 Because it is a pretty basic robot vacuum with only the essential features, the R85 does not have a mapping function. It cleans in a random pattern, but it does learn about its surroundings, and it does gradually find better routes. The dirt cup is extra large at 0.62 liters which is good news for pet owners. A large dirt container will prevent pet hair from blocking the suction, and it means that you don’t have to trouble yourself constantly with emptying the cup. Users with pets (and allergies) will also appreciate the HEPA filter which filters out small particles such as dust and dander that cause allergies. The R85 robotic vacuum from Shark is a low-cost robotic vacuum designed to handle pet hair. It might not have all the frills, but if you are looking for an affordable product with all the critical features, then this is an excellent choice. Extra large dirt cup, 3x more powerful suction, self-cleaning brush roll, and a HEPA filter are just what all pet homes need. Add Wi-Fi connectivity and easy scheduling on the app, and the Shark R85 is ready to take care of your upkeep cleaning. Although it’s not one of those highly advanced robots, it offers excellent cleaning results and does daily maintenance vacuuming for you. It significantly reduces your need to vacuum by taking care of all the dust and pet hair that gathers on your floor and in the corners. The Roomba 690 may not have all the bells and whistles, but it is a practical and useful robotic vacuum with the fundamental features. It offers good performance, and it comes with useful features like Wi-Fi connectivity, excellent filtration, and a Roomba Virtual Wall Barrier. This vacuum is a top pick in its price category. Click here to see the latest price. The Roomba 690 is a great budget option if you’re looking for a robotic vacuum for a home with pets. It comes with the Roomba Robot Essentials and a couple of advanced features thrown in as well. Continue reading to find out everything you need to know about this product before deciding if its the right one for you. The high-quality brush roll with bristles and blades engages the surface and digs deep into carpets. It loosens pet hair, dust, and dirt so that the suction can then pull it in. It also automatically adjusts to the surface to offer an optimal clean on any floor or carpet. If you have high-pile carpeting or several plush area rugs, we might suggest a robotic vacuum with stronger suction. But for hard floors and low to mid-pile carpets the 690 is a great option. You have four ways of controlling your Roomba vacuum. Firstly, you can use the physical button on top of the vacuum to start a cleaning cycle. You can also stop a cycle and ask the vacuum to return to its Home Base, but for more advanced options you need a Wi-Fi connection. A Wi-Fi will enable you to control the vacuum using the iRobot Home application on your smartphone. This way you can schedule cleanups, view the cleaning history and start cleaning cycles remotely. It allows you to start the vacuum while you’re away from your home and to come back to a clean house that has just been vacuumed. You can also use the Wi-Fi connection and connect the Roomba with Amazon Alexa or Google Home. You can then use the speakers to give the vacuum voice commands. Lastly, the Roomba 690 comes with one Roomba Virtual Wall Barrier which you can use to restrict the robot from cleaning specific areas. For pet owners, this is an important feature because pets might feel uncomfortable around the robovac and need a peaceful space they can retreat to. It is also a good way of protecting your pet’s water and food from the robot to make sure your pet is not disturbed while eating or drinking. The 690 has a runtime of 90 minutes which is pretty good for a robot in this price range. The robot will automatically return back to its dock for charging, but it will not resume cleaning after it has juiced up. This is a minor shortcoming but something that is to be expected at this price point. In smaller and mid-sized homes 90 minutes allows the vacuum to finish its job, but if you have a big house, you might want to consider another product with longer runtime or the ability to automatically resume cleaning after charging up. The charging is fast, and in just 2-3 hours you will have the robot ready for another cleanup. The Roomba 690 uses the iAdapt 1.0 navigation system to find it’s way around. It is a fairly basic system that does not enable mapping, which can be expected at this price. The robot uses its bumper to collect information about its surroundings, which means it will lightly bump into objects. The navigation provides enough information for the vacuum to do a good job at cleaning, but the cleaning paths are random, and it might miss a spot sometimes. Users have said they don’t mind this though, because with daily cleaning cycles the vacuum will keep your floor cleared of dust and debris even without the more sophisticated (and more expensive) navigation. The 690 model uses the Roomba High-Performance AeroVac filter. It is not a HEPA filter, but it does do a great job at capturing all dust, dander and other small particles. Having a high-quality filter is an essential detail for vacuums in pet homes. An inefficient filter might reduce the indoor air quality by allowing the vacuum to push allergens like dander and other disgusting particles back into the air. With the High-Performance AeroVac filter, this won’t be a problem, and you’re guaranteed clean exhaust air. To put the Roomba 690 is a nutshell; it is an affordable robotic vacuum with all the necessary features to provide a high level of performance and a comfortable user experience. It has a long runtime, high-performing filtration, and a sturdy brush roll – all features that pet owners will appreciate. The Wi-Fi connectivity makes it easy to control remotely, and the Dual-Mode Virtual Wall Barrier gives you the option of blocking a specific area from your robot. Add a few nice details like Dirt Detection technology, and you have what we say is a great pet hair vacuum. If you’re looking for a moderately priced robovac that can keep your home clean and free of pet hair, then you might want to opt for the Roomba 690. It will make your life as a pet owner significantly easier by cleaning up all that pet hair and dust that lands on the floor in your home. Other great robotic vacuums we reviewed but which didn't quite make it to the top 6. Roomba 980 is one of the high-end robotic vacuum cleaners with advanced navigation and features, but it is a part of the previous Roomba lineup which is why you might find it at a great price online. It used to be the top dog in the Roomba family, but it has now been replaced with Roomba i7 as the king of the hill. Although it's no longer the best Roomba on the market, with the advanced navigation and features - and the current price - it's an excellent choice for a robotic vacuum for pet hair. Click here to see the latest prices of Roomba 980. Roomba 980 is still one of the most popular robovacs from iRobot because of its advanced features and excellent performance. In addition to an efficient tangle-free rubber roller system, it has all the needed features like Wi-Fi connectivity, app control, long runtime, HEPA filter, and the automatic recharging and resuming feature that doubles the runtime - great news for anyone with a large house! Roomba 980 also uses advanced mapping technology as it navigates around. Its performance is all thanks to a powerful motor and suction, combined with the enhanced dirt detection system and rotating AeroForce Extractors (the mechanism is brushless, so you don’t have to worry about pet hair getting tangled). Roomba 980 adapts to its environment for thorough coverage and the cleaning head automatically adjust according to the surface. Although many robovacs clean hard floors without a problem, what sets Roomba 980 apart from many of its competitors, is that it does well on carpets as well. The high level of performance on carpets is due to the features mentioned above, as well as the Carpet Boost-mode which, although quite loud, gives the robot the extra boost to manage carpets and rugs which are harder to clean. Roomba 980 is effortless to use. It offers Wi-FI-connectivity, and it can be guided remotely from your phone where ever you are and whenever you want. Roomba 980 is suitable for smart homes as it can be paired not only with smartphones but with Amazon Alexa and Google Assistant as well. According to the users, both the iRobot App and voice control are easy to use. The app lets you schedule up to seven cleaning schedules per week, and it also provides you information when parts need to be changed or maintained. The Roomba 980 can run up to 2 full hours, which is quite well compared to other robotic vacuums. As per home size, the 980 can vacuum an area of more than 2000 sq ft in a single cleaning cycle. Roomba 980 is very reliable at finding its way back to the charging station. It takes 3 hours to get fully recharged. Once recharged, it will automatically resume where it left off. This feature again makes it more independent because you don’t have to send it back to work after recharging. The Roomba 980 uses the latest technology which makes a big difference. It is very organized as it cleans in straight lines instead of randomly roaming around. This results in more efficient and thorough cleaning paths. All in all, Roomba 980 needs minimal care and attention from you. The need to clean up clutter beforehand is minimized, and you can leave it unattended and rely on it to navigate through your home without your help. Many cheap robotic vacuums need way more of your support, so this is nothing to be taken for granted. Last but not least, Roomba 980 uses HEPA filters, the ideal filtration system for every pet owner with all that dust and dander floating around. Roomba 980 is a high-end product with some of the most advanced technology and many the nice extras lower-end robots lack. It’s a solid performer and does a brilliant job on bare floors and carpets alike. And it spares you from all the extra hassle because of its advanced navigation which provides independence and supervision-free cleaning. Because Roomba vacuums are high-quality products that come with reliability and durability they are a good investment known to last for many years. Since it is no longer the most advanced Roomba (as Roomba i7 is the leader of the pack) and it is a part of the previous lineup, the price is very reasonable compared to the features you get. Having fantastic performance and features at a reasonable cost is what makes this vacuum a part of the top 5 in this category, and a great choice for you. 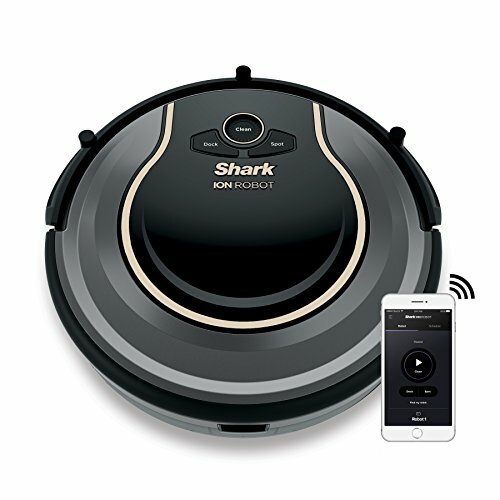 This Shark robotic vacuum is a great budget option for those with mainly hard floors. It has some really nice features for pet owners, but you can’t expect to get the best robovac out there for this price. If you're okay with not having the most advanced bleeding-edge features, this robot will help you keep your floors clean on a daily basis. Click here to see the latest prices. All in all, Shark ION R75 is a great budget option for households with pets. You can expect solid cleaning performance on tiled or hard floors, but don’t expect it to do miracles on carpets. This robotic vacuum is not entirely independent nor a match in performance or navigation to the more advanced robots - but then again, it is also much cheaper. Shark R75 offers app compatibility which is often missing from budget models, and you can start cleaning from anywhere at any time. Pet owners have also especially appreciated the low noise level, self-cleaning brush on which pet hair won’t get tangled, and HEPA filters that keep the air fresh. Even though it won’t be a substitute for a full-size vacuum, it will with no doubt help you keep your home pet hair-free and extend the time between heavier cleanings. all kinds of hard flooring. It holds two rotating sweepers on either side, which helps it to capture pet hair as well as other debris from the surface. It’s not as good a performer on carpets as Neato D6 or Roomba i7, but this robot does decent work on low-pile and even medium-piled carpets. The good news is that Shark ION R75 is Wi-Fi compatible. It means that you can remotely control your robot by using an app. The app allows you to start and stop cleaning, and to set recurring cleaning schedules. Also, the app provides access to tips, tricks, and FAQs, as well as maintenance reminders, troubleshooting, and tech support. Although the app is said to be easy to use, some users have reported the robot losing connection with Wi-Fi from time to time. Prefer giving the robot voice commands? No problem. Shark ION R75 is compatible with Alexa and Google Assistant, so you can just tell the vacuum to start working while sitting on your sofa. The battery provides a cleaning time from 60 to 90 minutes. Before the battery runs out or the cleaning session is complete, this Shark robot will automatically return to its docking station. Recharging the battery can take up to three hours. After that, it’s ready to get back to work, but unfortunately, this model won’t automatically resume cleaning once it’s recharged and you will have to send it back to work again. Navigation is not as advanced as with higher-end models. The cleaning and navigation pattern seem to be random, but as far as owners have witnessed, the robot does cover the floor area without missing spots. If you’re ever planning to leave to vacuum to clean by itself, it’s a good thing that Shark R75 is super slim at only 2.6 inches. For this reason, it gets easily under most furniture. The robot is equipped with anti-collision and anti-drop sensors which work rather well. It needs a bit of your attention, but as long as you're ready to do some clutter organizing before sending this vacuum to work, you won’t need to be there as a robositter as it roams the floors. This robotic vacuum is not designed for pet owners per se, but it has several great features animal lovers will appreciate. It’s quiet. Shark R75 generates only a low humming noise, which is ideal for pet homes. It's equipped with a self-cleaning roller brush, which helps to keep hair from getting tangled and on the rollers. The dustbin is easy to remove and empty, but as the dustbin is quite small, you have to be ready to empty it quite often. Last but not least, it has a HEPA filter. And that is the one you want to have if you have pets. If you want a robot that you can ”set-and-forget,” go for one of the more advanced robots like Neato D6 or Roomba i7, as the Shark ION R75 needs more of your attention and help. Also, it’s not the one you should buy if you have mainly carpeted floors. 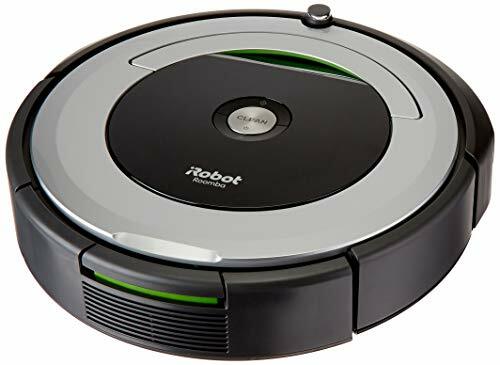 Then again, if you have mostly hard flooring and you’re prepared to help out your robotic vacuum to some degree before it can help you, this robot will save you considerable effort in housekeeping. The good news is that it has been reported navigating around without getting lost, stuck or bumping into walls and furniture. It won’t need your supervision all the time, and you can send it to work by using an app. Taking everything into consideration, the price is definitely attractive for the features this model holds. Although Deik is not one of the well-known vacuum manufacturers, their robotic vacuum has got praising reviews from pet owners. It’s not perfect, and it lacks some features you can find in higher-end models. There’s no Wi-Fi connectivity, the robot needs your help from time to time, and it won’t automatically resume cleaning once recharged. However, it is a solid performer, especially on hard floors. We also appreciate the largest dustbin on the market and last but not least - the affordable price tag compared to many other robot vacuums. 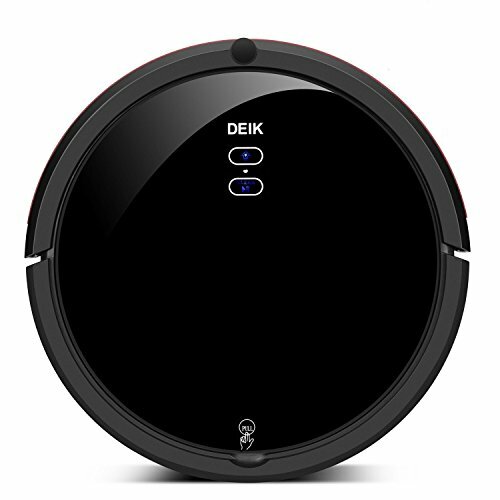 The Deik robot vacuum is best for homes with bare floors and low-pile carpets. Users have mainly given 5-star reviews, which confirms that Deik does a thorough job in cleaning around the house on its own. Dissatisfaction among its owners is rare as long as you’re ready for some trade-offs for the price you pay. You can’t expect to get it all, but for daily upkeep cleaning Deik is definitely a big help. the bare floor as well as from low- to medium-pile carpets without problems. It automatically adjusts the suction power to match the floor type and it uses less power on hard floors and more on carpets. However, Deik is not the best option if you have thick rugs or mainly carpeted floors as the cleaning results may not be optimal. The power is measured at 1200pa both on carpets and hard floors which is excellent for any robotic vacuum. Even though the vacuum is powerful, it’s not loud. The robot runs quietly, generating only 50-60 decibels. This robot works on a remote control and it's easy and intuitive to use. It has five different cleaning modes that allow Deik to be used effectively on different surfaces, situations and according to how dirty the floors are. There’s no Wi-Fi and app compatibility, which can be found on most of the more expensive models. Deik Robot holds a replaceable lithium battery that has a 90-minute running time (depending on the cleaning mode), and that’s quite impressive for a machine in this price range. The robot will automatically return to the station and recharge once it is done cleaning or the battery is low. However, you should know, that this robovac won’t continue cleaning automatically once re-charged. If you have a large home that the robotic vacuum won't be able to clean in one session, this feature is something you might need. For the robotic vacuum to clean a large house independently, it should resume cleaning after it has recharged itself. Deik has a massive 0.9 liter capacity for dustbin which is the largest in the market. This feature allows longer periods of cleaning, and there’s no need to monitor the vacuum constantly to empty the bin when it gets full. Owners of pets that shed a lot will love this feature because it keeps the pet hair from clogging the vacuum. The filtration is ideal for pet owners, as this vacuum has a combination of a 3D and a HEPA filter. The Deik Robot is one of the cheapest robotic vacuums available, and yet it does a pretty convincing job. This robotic has strong suction, and it has the biggest dirt cup in the market. Also, there are multiple cleaning modes to choose from. Deik is not self-sufficient, nor a substitute for full-size vacuum - but I’d say it's a good fit for someone who is looking for an affordable option to help maintain cleanliness in a pet home. The vacuum is easy to use, practical and it performs well with picking up pet hair from any hard flooring. And though it does fall slightly short on some aspects, with the low price tag you can actually be quite impressed with what you get for your money. Buying Guide - How to choose the best automatic vacuum for pet hair? Pets shed. They bring mud, grass, sand, gravel and other dirt inside. You have food pellets on the floor, dander in the air, cat hair on the curtains… the list is long, but you know what I mean - pets are messy! Robot vacuums can help you keep your home clean. Not all the robotic vacuums offer the same cleaning results. In general, robovacs perform better on hard floor types, and many have trouble when it comes to carpeting or rugs. So take into consideration the type of flooring at your home when buying one. If you have lots of high-pile carpeting or thick rugs, be prepared to invest in higher-end models. As most robotic vacuums don’t have as much suction as corded full-sized vacuums, they generally need a brush roll to boost their cleaning performance. As a pet owner, you should read what’s said about the brush roll: some brush rolls are self-cleaning, some are made of rubber to attract pet hair, etc. If there’s pet hair that needs vacuuming, it can easily get tangled around the brush, which in return increases the amount of maintenance you need to do. Also, be sure there is an edge-cleaning brush (all the models we’ve chosen as the top 3 robotic vacuums for pet hair have it), as it helps to sweep dirt into the path of a robotic vacuum’s intake. Dust can be annoying in households without pets, but if you have them, you know the amount of dust is on a whole other level. For this reason, keep an eye on the filtration system when choosing a robotic vacuum. HEPA filters are the cream or the crop - a HEPA grade air filter removes up to 99.97% of particles that are 0.3 micrometers or larger. Especially if you suffer from allergies, you should select a robot with built-in HEPA filters. Are you looking for a robotic vacuum, that you can ”set-and-forget”, or one that needs supervising to some degree? These are some of the features that let a robotic vacuum work independently. When you invest in one of these high-quality machines you know you can almost entirely forget about vacuuming and you don't have to attend to your vacuum now and then when it runs into problems. But not everyone is able or willing to invest in a high-end product, and that’s okay. By spending less, you usually have to be ready to settle for less and to be prepared to maintain and/or supervise your robot more. When choosing the right vacuum for your situation, you need to figure out your needs. Could you settle for a cheaper model and be willing to supervise cleanings to make sure your robot finishes the cleanup without bumping, falling or getting stuck? Or do you want a machine that will independently take care of vacuuming while you are away? As robovacs roam the floors on their own, it’s quite evident that they need to be able to cover the cleaning space and know how to get around. The quality of the navigation systems in the robotic vacuums tend to vary a lot. Some are pretty basic, offering random cleaning patterns which won’t cover the floors as thoroughly as the ones, which utilize the latest technology available. Some robotic vacuums, like Deik, work better in small spaces like smallish apartments, while models like Neato D6 offers features that are better suited for larger homes with many rooms. First of all, check how much room there is under your furniture. You will want the robot to clean the floor under the furniture too, and on the other hand, you don’t want it to get stuck every once in a while (it gets annoying, trust me). Some models are over 4 inches high, which means, they have a hard time fitting under low furniture. Other features worth to consider are anti-collision and anti-drop systems, as well as built-in dirt detection technology. The fanciest models even map their surroundings by taking pictures; that way the robot knows exactly how to move around without bumping into anything or getting stuck. Depending on the layout of your home and if you have delicate pieces of furniture, art or something else you would like to protect, you may also want to consider if you need to set some ”no-go-zones,” where the robot can’t enter. For example, Shark Ion 750 comes with separate magnetic strips and Roomba 980 with so-called virtual walls, that you can place as boundary markers. This is a great feature for pet owners who wish to set apart a safe zone for their pets during vacuuming or make sure the vacuums won't spill pet food or water when bumping into them. And as with everything, the fancier the model, the higher the price tag tends to be. All the added features will add to the price, but it will also make things more convenient for you. Keep in mind, that you are making an investment for several years. The idea of a robotic vacuum is to free up your time and spare you from the efforts of vacuuming. If you're trying to decide between to different price categories, it's always wise to pick the one with more advanced features if you can stretch your budget: it won't become outdated a soon, and you probably won't regret making your life easier. This feature is more critical with stick and handheld type vacuums, and with robots, it only matters if you have a large house. 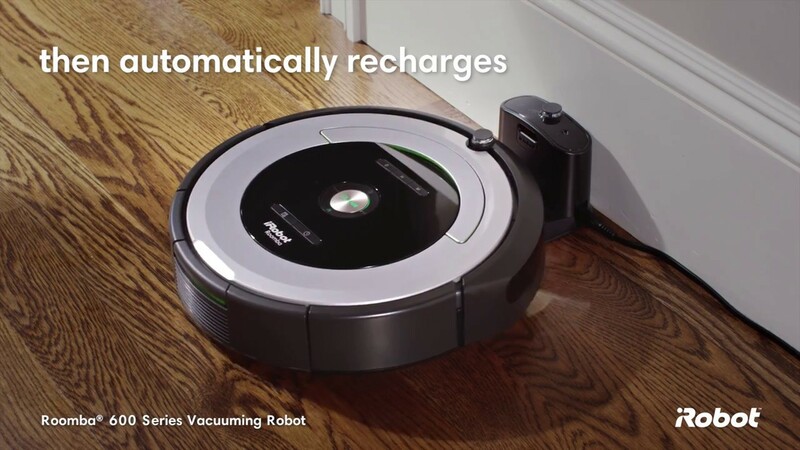 On average robovacs can clean up to 60-90 minutes in one go, with higher-end models the runtime with a fully charged battery is up to 2 hours. Some vacuums stop as the battery runs low and you have to carry them back to the charging station. However, all of the three robots we’ve selected will navigate back to their charging dock once the battery is low and start recharging automatically. Some models, like Neato D6 and Roomba 980, will also automatically resume cleaning and finish the cleaning session after recharging. There are three ways to control your robotic vacuums: manually by pushing the buttons on the robot, by using a remote control, or remotely with an application on your smart device. Nowadays almost all robot vacuums can be controlled with an app, and sometimes these Wi-Fi compatible robots can also be voice controlled (Amazon Alexa and/or Google Assistant compatible). Some apps are very advanced, and they provide you much more than just the ability to manage the cleaning cycles (for example maintenance info, floor plans, and cleaning history). All in all, Wi-Fi makes controlling your bot faster, easier and more convenient. Also, we predict that it won't be long and all the robovacs will have this feature (meaning, that models without it will be outdated soon). With robotic vacuums, the good doesn’t come cheap. As with products in general, also with robovacs the price often correlates with the performance, features, and quality. The price range is massive. I’m not saying, that you necessarily have to invest in the most expensive option, but be prepared, that you cannot expect to get the model with all the bells and whistles if you choose the budget option. Low- to mid-end robotic vacuums will offer decent cleaning performance and cleaning times but tend to lack features such as high tech navigation and Wi-FI connectivity. Basically, there are well performing robotic vacuums available in every price category. 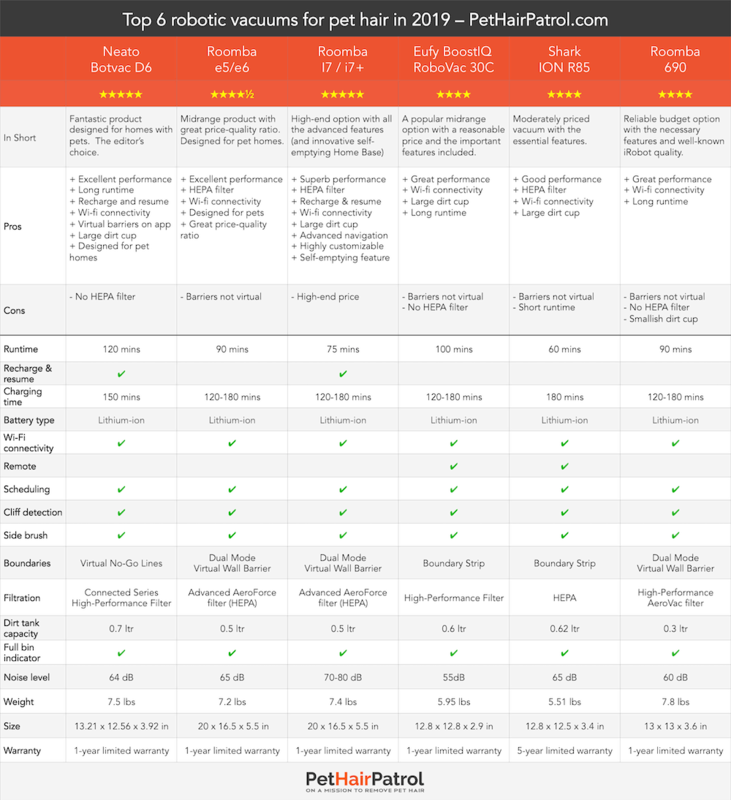 We have chosen the best robovacs for pet homes in each one, and you can easily compare the differences in our comparison table. 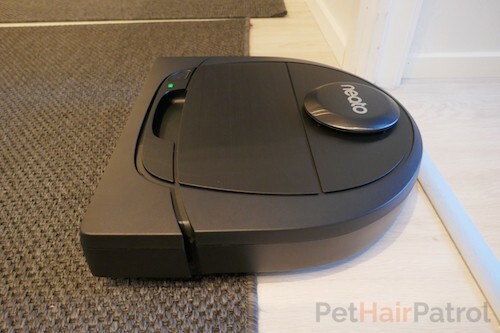 What is the best robotic vacuum cleaner for pet hair? What is the best robot vacuum for pet hair? Best robot vacuum for pets hair? The answer to these questions depends on the size of your home, the types of floor surfaces you have, and how advanced of a robot you want. If you have a small or medium-sized home, most robotic vacuums with a runtime of 60 minutes or more will be able to finish vacuuming in one go. However, if you have a large house, you may need a vacuum with a longer runtime and the recharge & resume feature. With this function, the robot will return to the charger when it runs out of battery and automatically continue cleaning where it left off. 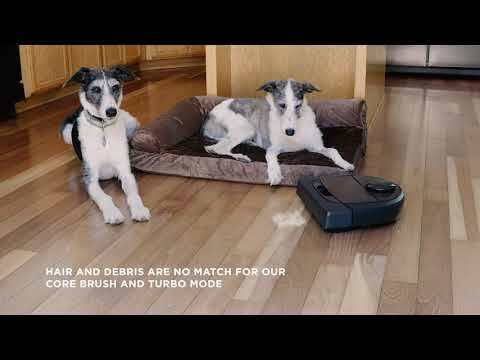 Pet hair vacuums with this feature are Neato D6 and Roomba i7. Another feature that will enable the robot to clean a large house is advanced navigation. Most of the more affordable products with basic navigation clean in a random pattern. This is not the most efficient way to clean, and it takes longer for the vacuum to finish the job. 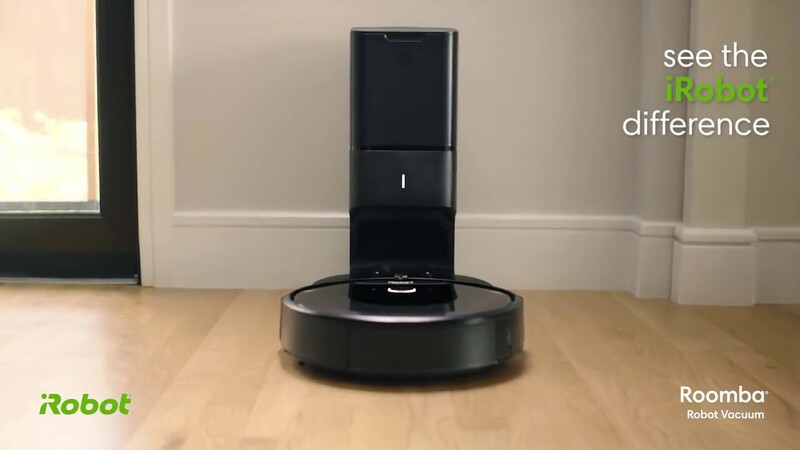 More advanced robot vacuums like the Neato D6 and Roomba i7 clean in logical straight lines which reduces the time it takes to complete vacuuming and therefore decreases the need for battery life. If you have mostly bare floors and hard surfaces or low-pile carpets, most robotic vacuums will be able to perform well and provide excellent cleaning results. It a different matter though if you have high-pile carpets. If you have a home with thick carpeting or plush area rugs, you should make sure your robotic vacuum has strong suction and a well-functioning brush roll system. Roomba i7 has an incredibly strong suction combined with a rubberized brush roll that attracts pet hair. Its performance on high-pile carpets is fantastic, and it can handle pet hair with ease. Other great options for challenging surfaces are the Neato D6 and Roomba e5. Are you looking for the top dog or a budget option? Some consumers always want cutting edge technology and advanced features, while others just want the reliable basic option with only the essential functions. If you want a highly advanced robot with frontline design and engineering, you should go for the Roomba i7+. In addition to cutting edge navigation and very customizable cleaning preferences, it even comes with a self-emptying Home Base that automatically empties the vacuum up to 30 times. Neato D6 is not as advanced as the i7, but it also has an excellent navigation system and mapping that enables it to draw a floor plan of your home. However, if you’re looking for something a bit more midrange at a reasonable price, Roomba e5 and Roomba e6 are good options. They have more than the essential features, and they have excellent performance, but you don’t have to pay for leading-edge features. 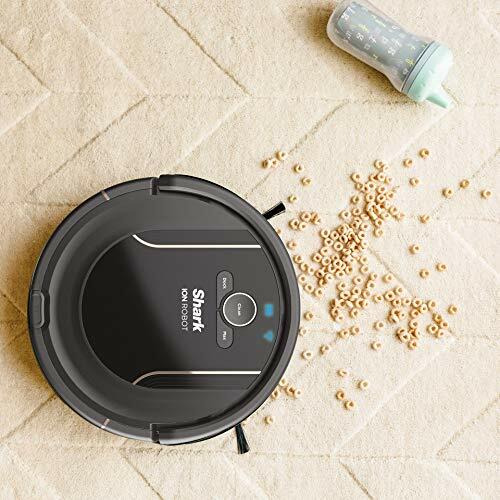 And for those that are looking for a budget option that has what takes to keep pet hair under control – but an affordable price – the best options are Shark R85 and iRobot Roomba 690. What are the critical features on a robot vacuum for pet hair? Anyone looking to buy a robotic vacuum will probably be interested in features like the runtime, Wi-Fi connectivity, noise level, and navigation. These are important factors to consider, but if you’re looking for a robotic vacuum for pets, there are a few more important aspects that come into play. Suction Power: As you probably know, pet hair can be very stubborn and persistently cling onto carpets. For the vacuum to be capable of handling pet hair, it needs to have suction that is strong enough to pull up even that needle-like hair that gets lodged between fibers. Type of brush roll: The traditional bristled brush roll with stiff bristles can be very good at digging into the surface and pulling up pet hair and dander. However, there are other more advanced brush rolls as well. Some robotic vacuums combine bristles and blades to get better cleaning results, and some even have rubberized rolls that are very good at attracting pet hair and other dirt. Some vacuums also have tangle-free brush rolls, which are great if you have pets with long hair. Size on the dirt cup: If the dirt cup is too small, pet hair the vacuum picks up might get packed in too tightly blocking the air flow and reducing the suction of the vacuum. Especially if you have several pets or your pets shed a lot, it is essential to choose a product with a sizeable dirt container. Filtration: If you or your family members have allergies or sensitivities, it is important to choose a robotic vacuum with a capable filtration system. Filters that are up to the HEPA standards are the most competent ones. They filter out 99,97% of particles that have a size greater than or equal to 0.3 µm. What this means is that the vacuum will filter out all dander, dust, dust mites and other particles that might cause your nose to run or your eyes to itch. Having a vacuum cleaner with a good filtration system will keep your home and indoor air clean and significantly reduce allergens. 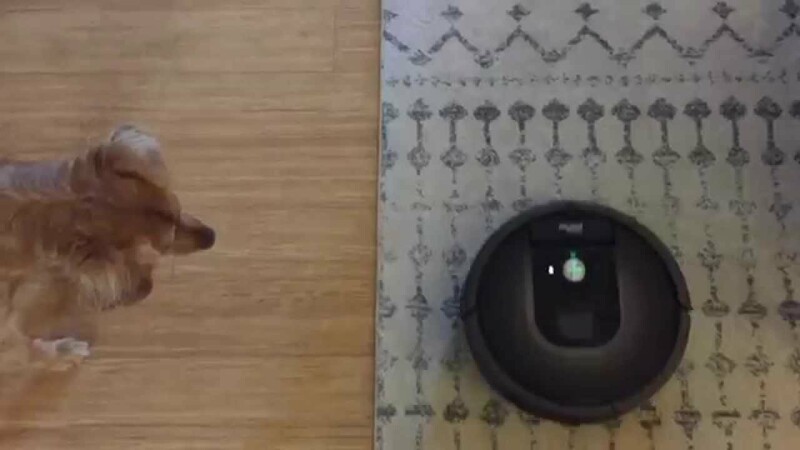 No-go zones: Because some animals find the freely and randomly roaming robot intimidating, pet owners looking for a robotic vacuum should opt for one that has a feature that allows you to create no-go zones. Some vacuums have a device that will create invisible boundaries, and others allow you to draw no-go lines on the floor plan on the app you use to control your robot. Creating a no-go zone around your pet’s food, water bowl, bed and litter box will give your pet some space and keep them stress-free even when they are alone in the house with a robot that is doing its daily cycle. You can also block the robot from entering one room if your pet needs peace and quiet or they are scared of the robot. Are robot vacuums good for pet hair? Yes, robot vacuums can help you keep pet hair under control by taking care of the daily upkeep vacuuming especially in those areas that are hard to reach like under furniture. Because the robotic vacuum collects all the pet hair on your floor, it will significantly reduce your need to vacuum and cut down the amount of pet hair in your home. Do robot vacuums pick up dog hair? Yes, robotic vacuums can pick up dog hair and the ones designed for pet homes are very good at it. If you want a robovac that is capable of dealing with dog hair, go for a model that has strong suction, a good brush roll, and a large dirt cup. What are the benefits or buying a robotic vacuum? The benefits of buying a robotic vacuum are that it significantly cuts down your need to vacuum and helps you keep a cleaner home. You need to spend less time cleaning when a robot does most of the upkeep vacuuming for you. If you used to vacuum daily, with a robotic vacuum doing most of the maintenance cleaning, you might need to vacuum only once a month. A robotic vacuum is a highly useful appliance that will give you more free time and reduce the stress involved with household chores. It comes down to this: most owners of robotic vacuums only wish they had gotten one earlier. That says a lot about how convenient they are. A robotic vacuum is totally worth the investment because it substantially reduces the time you need to spend vacuuming and gives you more stress-free spare time. Do I still have to vacuum myself, if I buy a robot vacuum? Yes. A robot vacuum won’t completely replace the vacuuming a person can do because it is not able to move furniture out of the way or to clean above-floor areas. It will, however, significantly reduce your need to vacuum yourself. Because the robot can do a cleaning cycle a few times a week or even daily, your home will be kept cleaner reducing the need for you to take out the sturdy upright vacuum. The robot vacuum will pick up the dust and pet hair before it gathers in the corners and under furniture. With frequent upkeep vacuuming by the robot, you can spend less time on household chores and more time on things that are actually important. Who makes the best robot vacuum for dog hair? The best robot vacuum for dog hair is the Roomba i7 manufactured by iRobot. It has 10x stronger suction, rubberized brush rolls, and a large dirt cup. These features make it incredibly well-equipped to handle pet hair. Although the iRobot Roomba i7 is the best of the best, there are other great options as well like the Neato D6 and the Roomba e5. What is the best robot vacuum for the money? Roomba e5 and e6 from iRobot have the best price-quality ratio when it comes to robotic vacuums for pet hair. It has a reasonable price point combined with many advanced features that are designed to benefit pet owners. A 5x stronger suction, rubberized dual brush roll system, large dirt cup, and HEPA filter make these vacuums a smart purchase for households with pets. Best robotic vacuum for pet hair and carpet? Best robotic vacuum for pet hair on carpet? Best robot vacuum for pets and carpet? The best robotic vacuum for pet hair and carpet is the Roomba i7 because of its powerful suction and advanced rubberized dual brush roll. It has impressive pick-up power on carpets, and it will pull up pet hair from even those thick high-pile carpets that often provide quite a challenge for robotic vacuums. The rubberized brush roll grabs pet hair and other dirt and pulls it in for the strong suction to pick up. If the Roomba i7 is out of your budget range, other great options are Neato D6 and Roomba e5. They also have excellent suction power and capable brush rolls that provide great cleaning results on pet hair and carpet. Best robot vacuum for pets and hardwood floors? 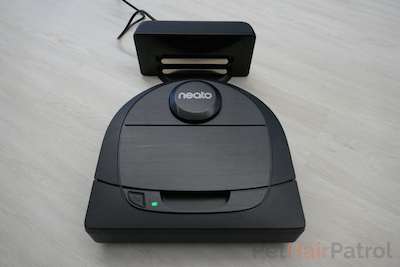 Neato D6 is the best robot vacuum for pets and hardwood floors. The vacuum has excellent cleaning performance, large dirt cup for all that pet hair, a side-sweeper and a brush roll that closely and carefully engages hardwood floors without scratching them. It also has Wi-Fi connectivity, an excellent app for controlling the vacuum and Virtual No-go Lines you can draw on the map. It is the best choice for pet homes with hardwood floors. Best robot vacuum for pets and allergies? The best robot vacuums for pets and allergies are Roomba i7, Roomba e5/e6, and Shark ION R85. These robot vacuums have HEPA standard filters that are capable of filtering out allergens like pet dander, dust mites, and dust. HEPA filters filter out all those small particles that cause your symptoms and reduce the number of allergens in the air you breathe. What is the best robot vacuum for long hair? The best robot vacuums for long hair are Roomba e5/e6, Roomba i7, and Shark ION R85 because they have tangle-free brush rolls that are effective at picking up pet hair while not letting it tangle around the brush. What's the best Roomba for pet hair? The best Roomba for pet hair is the i7 because it has x10 stronger suction, large dirt cup, HEPA filter, rubberized brush rolls that attract pet hair and an advanced navigation system. If the Roomba i7 is out of your budget, Roomba e5 is another excellent option. It has x5 stronger suction, large dirt cup, HEPA filter and rubberized brush rolls that grab pet hair. Read more from our article on best Roombas for pets here.